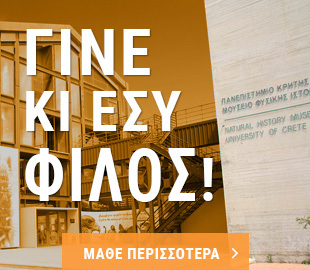 On behalf of the Governing Board at the Natural History Museum of Crete (NHMC) Friends’ Association, I would like to welcome you to our new website, and invite you on a virtual tour of our exhibitions and activities. The NHMC Friends’ Association relies on volunteering. 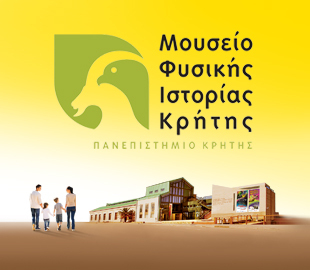 Following a decision taken by the Senate at the University of Crete, to which the museum belongs, we have been entrusted with the financial and administrative management of the exhibition facilities on Dermatas Bay. 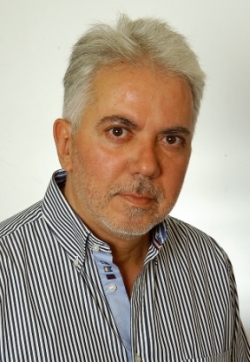 The association has over 500 members, who enjoy the privileges described in this website. The association’s aim is to support the museum in its diverse activities, which include taking action aimed at protecting the natural environment, raising environmental awareness and improving museum infrastructure. Our museum has won an Academy of Athens award in recognition of its work, and is the only CETAF-affiliated organization in Greece, having gained full membership in 2014. CETAF (the Consortium of European Taxonomic Facilities) is a European network of scientific institutions promoting education, research and the understanding of biology and related sciences. It would be a great pleasure to welcome you aboard the team, and see you actively support our activities as an association member.